Plants may not have feet, but they do move! 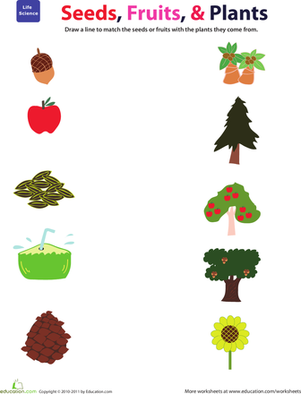 Plants travel by sending out seeds and fruit that fall on the ground and begin growing where they fall. Sometimes seeds are designed to travel long distances before they find soil to grow in, such as dandelion seeds that are blown far away by the wind. 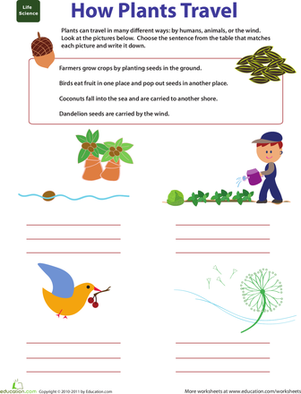 On this worksheet, kids learn different ways seeds travel. Want to learn more about plants? 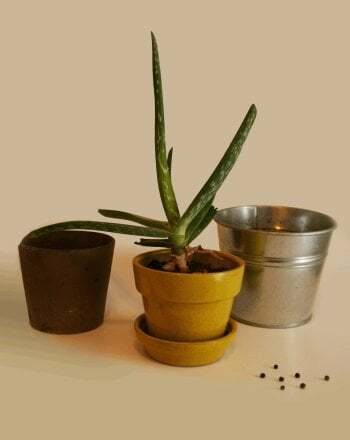 Check out more plant matters Here. 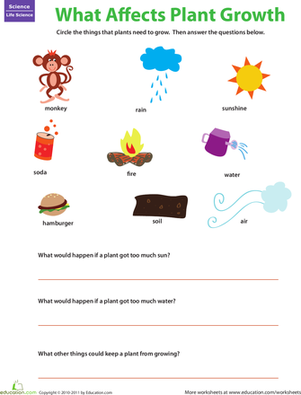 Kids need lots of things to grow up healthy and strong, and plants do, too! 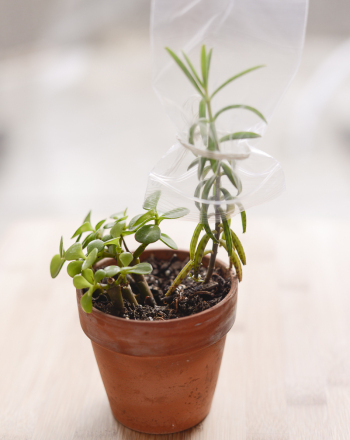 Can your child think of things a plant needs to grow? Ever wondered how a plant drinks water? 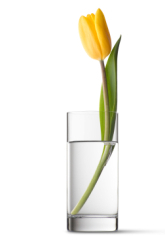 This science project will teach you how and help you create a beautiful floral display! 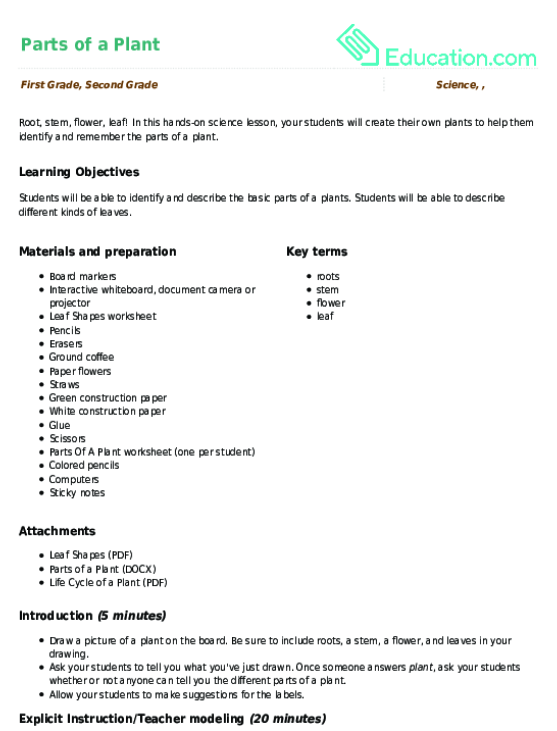 In this hands-on science lesson, your students will create their own plants to help them identify and remember the parts of a plant. 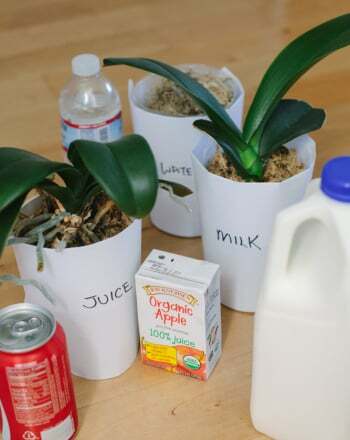 This project explores whether plants can live and grow when "watered" with juice, soda, or milk. Plants and light seem to be good buddies, but how far does the friendship really go? Plants are resources used in everything from food, to clothes, and for making other products. Writing and research come together for this basic worksheet.